Members of the Police Integrity Commission (PIC) have told Parliament’s Executive Oversight Committee (EOC) that unlawful actions committed by police officers on February 6, 7 and 8 last year were criminal activities that needed to be prosecuted. Parliament’s EOC is currently reviewing the report produced by the Commonwealth-backed Commission of National Inquiry (CNI), which looked into the controversial transfer of power that took place on February 7, 2012. The committee is also assessing the progress of institutions in following the recommendations stated in the CNI report. The committee on Wednesday evening summoned the PIC along with members of the Human Rights Commission of the Maldives (HRCM) and Prosecutor General (PG) Ahmed Muiz. Speaking to the committee, PIC Vice President Haala Hameed said that actions of police officers during the period of the controversial transfer of power amounted to crimes and should be prosecuted by the PG. She claimed that the PIC had identified 29 cases of police misconduct, out of which cases concerning six police officers had been sent to the PG for prosecution. Furthermore, the PIC revealed that it had urged Home Minister Mohamed Jameel to suspend the officers immediately. Hameed said the commission had failed to identify the police officers in five of the remaining cases while 11 other cases lacked supporting evidence. She also said the PIC was still investigating seven cases of police misconduct during the transfer of power. “These are not disciplinary issues, but crimes. Aside from sending cases to the Prosecutor General, we also recommended the Home Minister suspend these officers, because of the delays in prosecution. We believe these officers should not be serving in the police,” Hameed said. However, PG Muiz disputed Hameed’s claims, suggesting that the actions of police officers did not amount to crimes but were “disciplinary issues”. “I am not deterred or afraid of carrying out my duty. I am not influenced by anybody. By the will of God, I will continue to carry out my duty. I would have sent cases to court if there had been sufficient evidence needed for a successful prosecution,” Muiz said. “We did not investigate those cases as a disciplinary matter. Those are criminal cases. We investigated a crime,” Hameed responded. When a committee member asked about the police officer Ali Ahmed – who was promoted twice after the PIC recommended he be dismissed from the police force and prosecuted, Hameed said Home Minister Jameel had given a “deaf ear” to the commission’s repeated requests. Former Chair of the PIC Shahinda Ismail earlier revealed that officers the PIC had recommended for suspension were in instead receiving promotions. “It is really upsetting for me, a huge concern, that the police leadership is permitting a trend whereby unlawful officers are acting with impunity. This can only lead to further violence,” Shahinda said at the time. Meanwhile local newspaper Haveeru quoted Home Minister Dr Mohamed Jameel Ahmed as saying that the cases of police officers which the PIC recommended be dismissed had been sent to the police disciplinary board. Jameel said that the Police Act and the regulations made under the act were very clear as to how a police officer could be dismissed or disciplinary action be taken. He claimed that he would uphold the law and would not violate the Police Act. “The PIC is an institution formed under the Police Act. I can’t simply remove a police officer simply based on a recommendation by the commission. That is why I sent the cases to police disciplinary board as soon as I got the [PIC]’s letter,” he told Haveeru. Jameel also said that it would be an unfair dismissal if the court acquitted a police officer who had been dismissed prior a verdict being reached. However, Hameed during the committee meeting, claimed there was sufficient evidence needed for successful prosecution of those officers which it had recommended be dismissed. The stuff that gets shoved down our throats are also crimes. 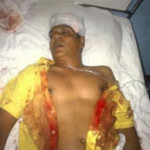 What they did to Nazim (following idiot Zakir Naiks mad accusation) are also crimes. When Jabir did not pay for the Resorts must also be punished. Drug dealers are also criminals. Murderers are also criminals. Child molesters are also criminals. We have more than a fair percentage of our population criminals. Why pick on some? Police who abused their power are certainly criminals. Hate-mongering intimidator Sheiks are also criminals. If this doesn't show Jameel for the two faced liar he is, I don't know what will! The Police Integrity Commission is there to act as an INDEPENDENT watchdog on how the Police handle themselves. When that Commission recommends the dismissal of officers, that becomes a very serious matter, and such matters cannot be turned back over to some internal committee of the Police! What happens when the Police decide to overrule the PIC? The Police cannot discipline themselves; the fox cannot be in charge of the hen house! Now, to refer the dismissal back to an internal Police board makes a mockery of the Police Integrity Commission and their work. Politicians like Jameel think they are being clever by circumventing the checks and balances setup in the Constitution. This is exactly what happened in the case of the Judicial Services Commission. The judges and the Courts made a mockery of that Commission as well. We have independent institutions setup by the Constitution, but with their important work being willfully ignored by the likes of Jameel. Time for that motion in Parliament, I reckon. Ah, but that'd have been a great idea, except that Parliament is full of those who led and supported the coup d'etat! "Hate-mongering intimidator Sheiks are also criminals...." who are these people? Do you know any of them? how do they monger hate? Maybe they maybe of a different mindset then you, but everyone has the right to believe no? or are you not even going to allow that? I think you are more intolerant than the people you refer to. As for Nazim, he just made a fool of himself trying to debate zakir. Nobody did anything to him. He just made a monkey of himself. if he had researched his belief before going infront of the mic, he could have put some serious points at Zaakir. He just and a half baked idea he read from some islamophobic site and then tried to become famous. nobody even harmed him. the police escorted them to a safe place where he reevaluated his position and reverted back to islam. so whats the big deal about this? All this is today's politics nicely and tenderly played with to let Justice remain in the dustbin it is in! If recommendations made by the PIC was not met with by the administration, or if the PG did not take action, why did not the PIC resign? If they were true to the pay they receive from the coffers? To my belief, this is passing the buck! This is not enough! PIC should officially ask the administration to take legal action against the PG, Home Minister and the Commissioner of Police! @human_being: The big deal is people attacked him in the first place and crowds including Zakir Naik was calling for him to be executed. He didn't deserve to be attacked. Do you think he went up there for the sake of getting killed? No. What if he was just trying to reignite his faith by talking to a well known scholar because he was having a crisis of faith?